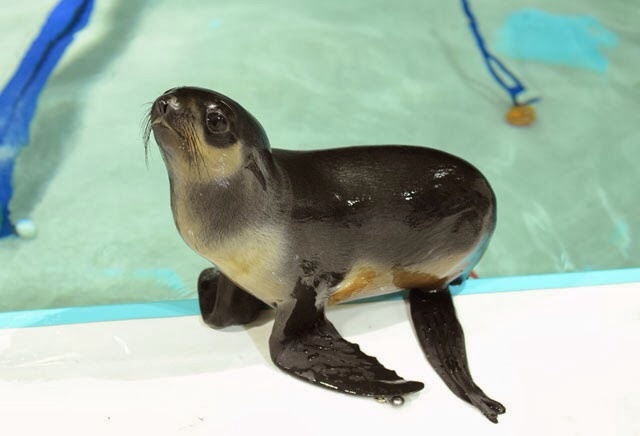 Chiidax, the orphaned fur seal found outside an Alaskan wildlife center, has new home: the Boston’s New England Aquarium! Due to his hand-raising and unknown place of birth, Chiidax cannot be introduced back into the wild. However, he will have plenty of adopted family members including Kit, a four month old female pup. Follow the link for more: http://news.neaq.org/2013/12/aquarium-gets-holiday-gift-rescued-fur.html.